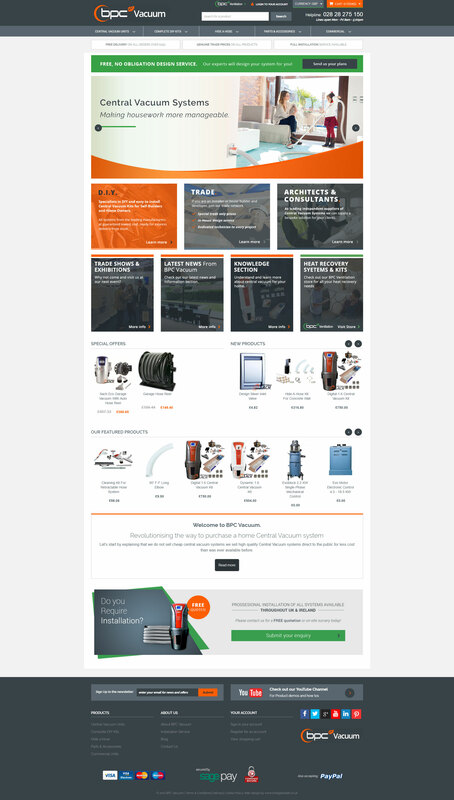 Gary wanted a multi Magento store for both BPC Vacuum and BPC Ventilation all controlled from one CMS. We are now doing an Ireland .ie domain version for both websites. He's currently doing SEO and PPC with ourselves with great results and return on investment. He is one of the leading retailers of ventilation systems in the UK.